During a short-term financial crisis, one looks for personal loans to meet the contingency. However, most often high interest on personal loans and the repayment period being too short deters us. In search for other opportunities to meet this crisis, one such alternative is to take a loan against a life insurance policy you have taken to secure yourself and your family. This seems to be an easy option as you get a loan against an insurance policy on which you have been paying the premium regularly. Besides, the loan processing cost, interest rates on loan, documentation for loan against life insurance are quite less and hassle-free compared to taking a personal loan. 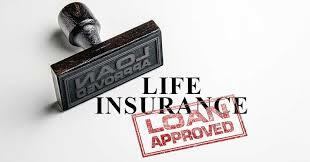 However, you should not opt for a loan against a life insurance policy without any reasoning or checking the pros and cons of such a measure. If you have a life insurance where the sum assured is Rs 10 lakh at the end of the tenure, you won’t be eligible for a loan of Rs 10 lakh. In fact, the loan amount depends on the surrender value of the policy. Surrender value is the present value of the policy when you terminate the plan voluntarily. In most cases you will be eligible for a loan amount of 80 to 90 percent of the surrender value. For example, you have a life insurance policy with a sum assured of Rs 10 lakh, and you want to take a loan against the plan. If the surrender value comes to Rs 5 Lakh at that time, then you will get a loan amount of Rs 4 to 4.5 lakh only. All life insurance policies are not eligible for the loan. Unit linked insurance plans and term insurance policies are not eligible for loans, according to IRDA guidelines. But loans can be taken on traditional insurance policies such as endowment and money-back plans. Hence, it is important to check the type of your life insurance policy you have and whether it is eligible for loan against it. Just buying a life insurance policy does not make you eligible for a loan against it. There is a waiting period of three years before you are eligible to take a loan against your life insurance policy. You must not default on premium during the three-year waiting period. Besides, you need to continue paying the premium during the tenure of the loan. The benefit of taking a loan against life insurance policy is that you have the full tenure to pay back the loan. How you wish to repay the loan can vary. You can either keep paying the interest regularly or pay back the principal amount. When the tenure of the policy ends, the remaining balance of the loan amount will be adjusted with the total claim settlement. Hence, it’s a win-win situation for both the insurer and the policy holder. In such a situation, your policy will lapse and the insurer has the right to recover the dues from the surrender value of the policy. If such a thing happens, the very purpose of taking a life insurance policy to secure yourself and your family falls flat although you may achieve your short-term financial requirement. Hence, it is important to weigh your options before you opt for a loan against life insurance policy. Always remember that loan against life insurance policy is a double-edged sword. Although you get a loan easily, you should not default on premium or principal or interest to keep the policy active. So, take your decisions accordingly.